Building strong customer relationships with email marketing newsletters that deliver results is key in today’s business environment. Creating the communication and following these top 10 tips for successful email newsletters will help you to build and develop strong relationships with existing customers and market your services more cost effectively. Email newsletters offer the ability to track on an individual level who opened your emails, who clicked on what link and what content they read, not only allowing you to measure the level of interest readers have in the content you are sending them, but also how readers are responding to it and what areas you should be targeting in future correspondence with them. 1. Professional Looking Template – Instead of sending out a generic email, take time to customise your template to reflect the colours, fonts and other branding elements of your business and website. Using the same email template for your messages will help the recipient recognise your firm and generate feelings of trust. 2. Personalise – Use the recipient’s name in your message whenever possible. Something as simple as customising the email in this way can make the recipient more likely to read through and act on your message. 3. Subject Line – The two second rule applies here – the recipient will scan the subject of the email and decide whether or not to open and read the communication. Therefore make the subject line as compelling as possible. Avoid using terms like ‘free’ or ‘offer’ as these will most likely not be opened. 4. Email from a Person – Make sure that the email is from a person or firm name and not from an email address, this adds to the personalisation aspect of the communication and adds to the likelihood that the email will be opened and read. 5. Engaging Content – Ensure that the content provides a value proposition or presents a current issue and asks the recipient a question where a response is expected to generate involvement. 6. Click throughs to your Website – Wherever possible the ability to drive recipients back into your website from a link for more information, or to engage the recipient is the major benefit of using an email communication. 7. Call to Action – It is important to ask for the business by telling the recipient how you want them to react to your message. It makes no sense at all just to write wordy content that tells a story but forgets to ask for a reaction. The call to action should be at the top of the message and also mentioned again at the end. 8. Signature – Always include a signature at the bottom of your emails, as it’s one of the easiest ways to attract more traffic to your website. This signature should include your personal details, your company details, and an unsubscribe link. You can use your signature to link back to your website, and even to other services. 9. Regular Send and Despatch – Consistency is one of the keys to achieving a successful email newsletter, sending an email out to your subscribers at about the same time and same day or days of the week or month will enable you to get a consistent result. 10. Measure Results – You must be able to track who has opened your email communication, and better still to know who has clicked through on one of the links that direct the visitor to your website for more information or to complete a call to action form. 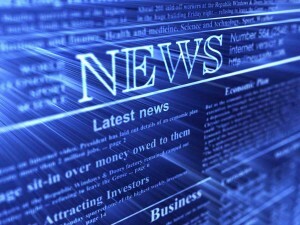 Measuring which news items generated the most interest will help you to refine future communications. The key benefit here is that any newsletter or email communication that you send will be an effective marketing tool for your firm. It should, of course, keep clients up to date with key legal information, promoting your firm as knowledgeable and strong on client relationships. Building continued loyalty of existing clients cannot be taken for granted, particularly as your competitors become more aggressive in their marketing techniques. The newsletter is a way of retaining an existing client during times when that client is not using your service.